The Qmax High Performance Benchtop oven is specifically designed to meet the frequent air changes and tight temperature uniformity required of the ASTM 5423 Type I & Type II oven specification. A high-volume fan circulates air through perforated, stainless steel walls to create a constant horizontal airflow across all sections of the oven. The result is highly uniform airflow to easily meet ASTM 5423 Type I and II specification while tested according to ASTM 5374. 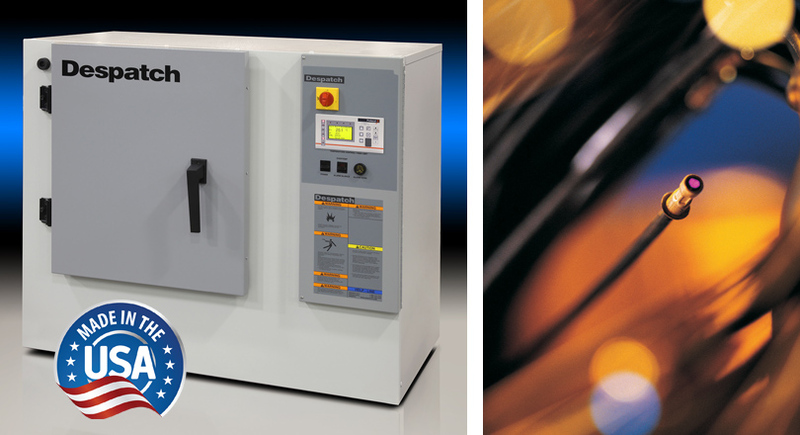 The Qmax oven exceeds the ASTM 5423 Type II performance requirement with a temperature variation of less than 6Â°C at 300Â°C while maintaining 100-200 air changes per hour. In addition, the brass bar thermal lag time showed superior oven temperature recovery. 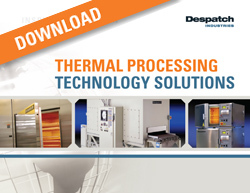 These ovens can be used for applications such as thermal evaluation of electrical insulating materials, testing, aging, curing, drying, sterilizing and other thermal applications where tight temperature uniformity is required. Advanced control | Protocol 3â„¢ is a microprocessor-based temperature and hi-limit controller with large LCD display and real time clock for auto start capability. . The LCD display shows temperature readings along with clear, detailed information on oven status. Protocol 3â„¢ features three operating modes for quick and easy operation: Manual mode, Timer mode and Pro.file mode. . The data-logging functionality enables reporting and analyzing and data files can be exported via the controllerâ€™s USB port. Modbus RS485 communications are included for easy data access. Remote operation, programming and data logging | The Despatch Protocol Manager network utility software enables the operation of up to 32 Protocol 3â„¢ and/or Protocol Plus controllers from a single, remote PC using RS485 communication.